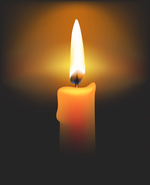 DILLON, John F., Lifelong Cambridge resident, passed peacefully on December 16, 2018 at the age of 76. Loving son of the late Thomas V. Dillon and Anna (Altimas). Devoted twin brother of of the late Thomas J. Dillon. Also survived my many loving nieces and nephews. All Services are currently private. A Memorial Service will be held at a later date.